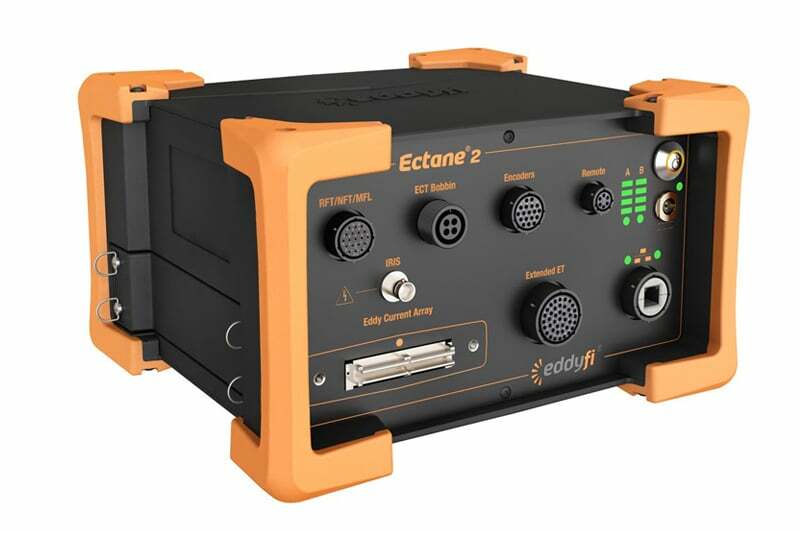 Introducing the Ectane 2 from eddyfi – built to improve on the ever-popular, multi-technology Ectane® instrument, this is the next generation of surface array and tube inspection test instruments. The Ectane 2 was designed with all the features that made the original successful, including the compact size, inspection software flexibility, ruggedness and smart design. But this instrument outshines its predecessor with a new CPU board, improved maximum frequency, current source saturation probes, motor drive for RPC probes, and other unique features. The instrument’s new CPU board features a faster CPU, which provides better results during ultrafast probe nulling and real-time processing. This makes easy, quality inspections possible with any technology combination, including ECT, ECA, RFT, NFT, NFA, MFL and IRIS. With a maximum ECT frequency of 10MHz, the new Ectane 2 offers better flexibility and performance in a variety of surface and tubing applications than ever before. The built-in current source which is available on the 41-pin Ectane 2 connector is programmable to control the current output, which feeds the magnetic bias ECT probes and partial saturation ECT probes. The powerful built-in motor drive can operate motorized rotating pancake (RCP) probes, which is especially useful in applications where RPC probes are utilised to find longitudinal and circumferential cracks. As further improvement on the Ectane, the Ectane 2 automatically identifies different probes, which makes setup a simple task. It also comes with eight probe inputs for RFT, NFT and MFL and has three programmable outputs to make automated inspection sequences more convenient than ever. A programmable alarm warns users when they reach the tube ends. For ultimate convenience and familiarity, the Ectane 2 is still operated by the well-known Magnifi® software – providing a complete solution for data acquisition, analysis and reporting. The Ectane 2 is a strong and portable platform that makes the surface array and tube inspection process simpler and more reliable than ever before. 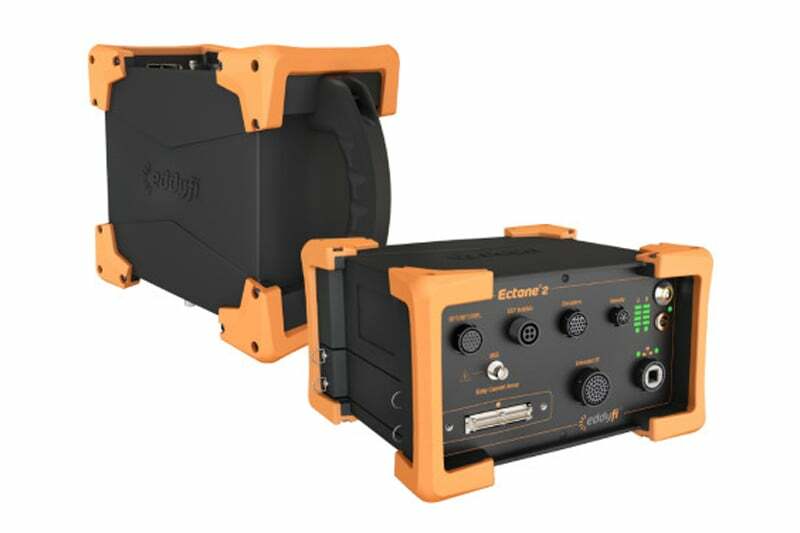 Contact us to find out more about the Ectane 2 or any of our other eddy current test equipment, or request a quote online.